New Vinyasa Yoga Class commencing Tuesday May 1st! I am excited to be finally offering a class in a beautiful studio in Manly, so come get you flow on early to prepare for a great day ahead. Prices: Casual Class is $18 or $150 for a Ten Class Pass. You may pay by cash or via PayPal below. Venue: Eggert's Organic Farm/F.U.N. Yoga in Wauchope. Equipment: All equipment including mats, blocks and bolsters are provided but you may bring your own if you prefer. 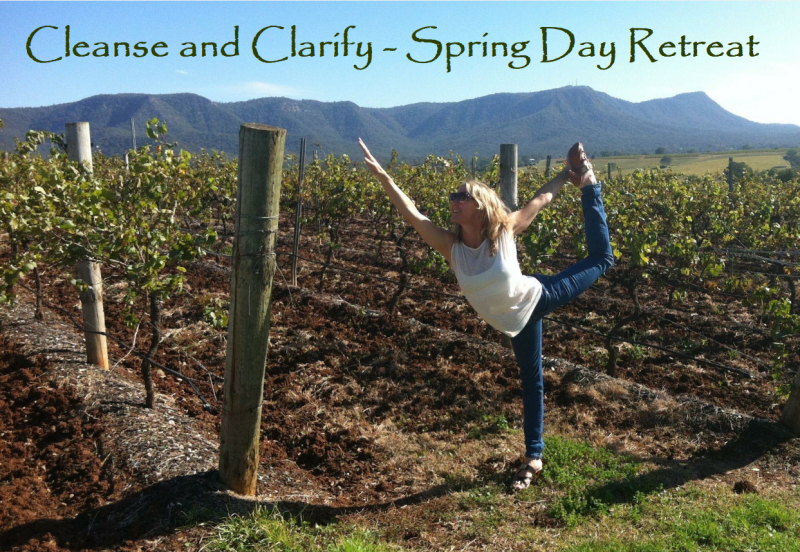 Spirit Yoga is having its first ever Day Retreat... introducing Cleanse and Clarify a Day Retreat for Spring in the countryside at Eggert's Organic Farm/F.U.N. Yoga. This day of renewal will commence with a morning yoga practice (power yoga/yang) then we will stop for a delicious spring vegetarian lunch from Nell's Garden Kitchen with time to mingle and chat. After lunch we will align our attention with our intention by crafting our own Vision Board while sipping chai and nibbling treats. Once we are in a food coma we will slow things down with a detoxing Yin Yoga class to balance the Liver and Gall-bladder meridians (dominant in spring) and conclude with a guided relaxation. * Participants will need at least 6 months regular yoga experience. Enjoy a weekend of yoga, music events, natural health talks, community activities and a Sustainable Health & Living Expo at Ekam Yoga Festival. We are moving to a fantastic new location this year, just south of Port Macquarie. Join us at Francis Retreat, Bonny Hills on 2 & 3 September 2017. Learn, be inspired, connect, relax, deepen your experience of yoga. Saturday, 2 September will be a family-friendly day. Bring your kids of all ages to enjoy the many free activities in the grounds or let your school-age kids attend the programmed classes with you for free. Choose from a great range ticketing options and accommodation packages. Tickets will go on sale on Mon, 12 June 2017 . 50 earlybird tickets will be released. Earlybird tickets are available until 25 June or until sold out. Venue: Tenison Wood Centre, Lochinvar Place, Port Macquarie. Cost: $15 per class or $120 for a 10 class pass. Clothing: comfortable, non-restrictive clothing Yin is a cooling practice; we remain very still, so you may get colder than normal. Equipment: you will need your own yoga mat. Also bring any of the following items: blanket, cushion, yoga block (if you already have one). A limited amount of blocks will be available to borrow each week. Suitability: all ages and levels (as long as you are comfortable in seated positions for long periods of time), not recommended if injured; in the first trimester of pregnancy or after giving birth (before your doctor’s check up and approval). Still Yoga (yin): is a still style of yoga with floor stretching poses held for longer periods of time (typically 2 - 5 minutes). Yin yoga poses apply moderate stress to the connective tissues, the tendons, fascia, and ligaments, with the aim of increasing circulation in the joints and improving flexibility. They are also designed to improve the flow of qi, (energy) to run through the meridians (channels) of the body, as used in Chinese Medicine. The combination of long held stretches and bringing our attention to sensations gets us out of our heads and into our bodies—and the world around us. 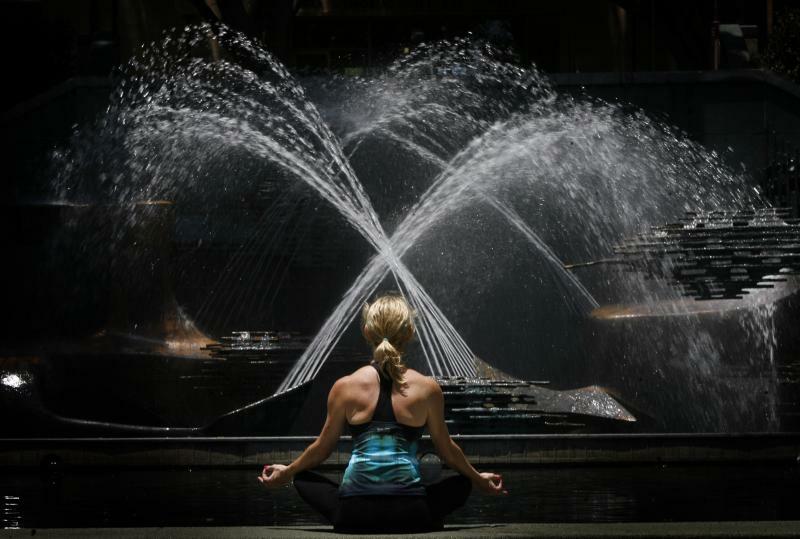 Yin yoga is quite meditative in nature and aims at finding stillness and cultivating awareness of one's inner silence. Although it is still, it can still be challenging to find stillness of body and mind in an uncomfortable asana.